As reported by David Ruth in Physics.org, researchers at Rice University in Texas have developed a method of decontaminating soil impacted with heavy oil and making it fertile again. Rice engineers Kyriacos Zygourakis and Pedro Alvarez and their colleagues have fine-tuned their method to remove petroleum contaminants from soil through pyrolysis. The technique gently heats soil while keeping oxygen out, which avoids the damage usually done to fertile soil when burning hydrocarbons cause temperature spikes. While large-volume marine spills get most of the attention, 98 percent of oil spills occur on land, Alvarez points out, with more than 25,000 spills a year reported to the Environmental Protection Agency. That makes the need for cost-effective remediation clear, he said. “We saw an opportunity to convert a liability, contaminated soil, into a commodity, fertile soil,” Alvarez said. The researchers put soil samples from Hearne, Texas, contaminated in the lab with heavy crude, into a kiln to see what temperature best eliminated the most oil, and how long it took. Their results showed heating samples in the rotating drum at 420 C (788 F) for 15 minutes eliminated 99.9 percent of total petroleum hydrocarbons (TPH) and 94.5 percent of polycyclic aromatic hydrocarbons (PAH), leaving the treated soils with roughly the same pollutant levels found in natural, uncontaminated soil. The paper appears in the American Chemical Society journal Environmental Science and Technology. It follows several papers by the same group that detailed the mechanism by which pyrolysis removes contaminants and turns some of the unwanted hydrocarbons into char, while leaving behind soil almost as fertile as the original. “While heating soil to clean it isn’t a new process,” Zygourakis said, “we’ve proved we can do it quickly in a continuous reactor to remove TPH, and we’ve learned how to optimize the pyrolysis conditions to maximize contaminant removal while minimizing soil damage and loss of fertility. “We also learned we can do it with less energy than other methods, and we have detoxified the soil so that we can safely put it back,” he said. Heating the soil to about 420 C represents the sweet spot for treatment, Zygourakis said. Heating it to 470 C (878 F) did a marginally better job in removing contaminants, but used more energy and, more importantly, decreased the soil’s fertility to the degree that it could not be reused. 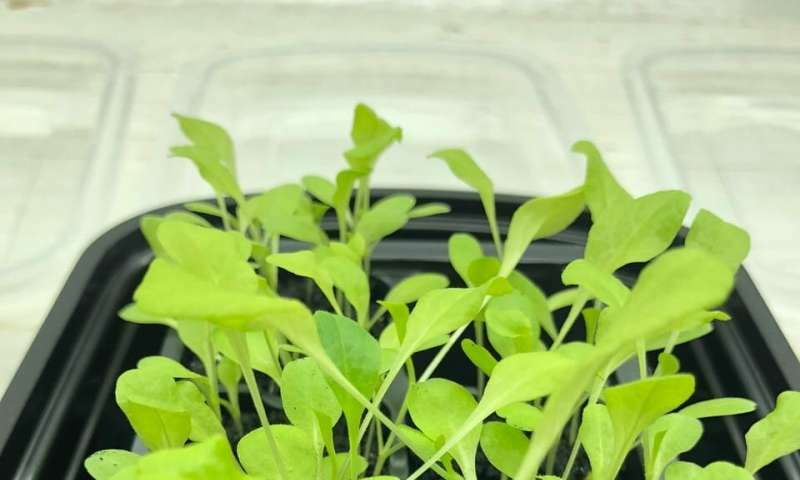 The true test of the pilot program came when the researchers grew Simpson black-seeded lettuce, a variety for which petroleum is highly toxic, on the original clean soil, some contaminated soil and several pyrolyzed soils. While plants in the treated soils were a bit slower to start, they found that after 21 days, plants grown in pyrolyzed soil with fertilizer or simply water showed the same germination rates and had the same weight as those grown in clean soil. To answer this final question, the Rice team turned to Bhagavatula Moorthy, a professor of neonatology at Baylor College of Medicine, who studies the effects of airborne contaminants on neonatal development. Moorthy and his lab found that extracts taken from oil-contaminated soils were toxic to human lung cells, while exposing the same cell lines to extracts from treated soils had no adverse effects. The study eased concerns that pyrolyzed soil could release airborne dust particles laced with highly toxic pollutants like PAHs. ”One important lesson we learned is that different treatment objectives for regulatory compliance, detoxification and soil-fertility restoration need not be mutually exclusive and can be simultaneously achieved,” Alvarez said. The United States Department of Defense’s Strategic Environmental Research and Development Program (SERDP) is seeking environmental research and development proposals for funding beginning in FY 2020. Projects will be selected through a competitive process. The Core Solicitation provides funding opportunities for basic and applied research and advanced technology development. Core projects vary in cost and duration consistent with the scope of the work proposed. The Statements of Need (SON) referenced by this solicitation request proposals related to the SERDP program areas of Environmental Restoration (ER), Munitions Response (MR), Resource Conservation and Resiliency (RC), and Weapons Systems and Platforms (WP). The SERDP Exploratory Development (SEED) Solicitation provides funding opportunities for work that will investigate innovative environmental approaches that entail high technical risk or require supporting data to provide proof of concept. Funding is limited to not more than $200,000 and projects are approximately one year in duration. This year, SERDP is requesting SEED proposals for the Munitions Response and Weapons Systems and Platforms program areas. All Core pre-proposals are due January 8, 2019. SEED proposals are due March 5, 2019. For more information and application instructions, see https://www.serdp-estcp.org/Funding-Opportunities/SERDP-Solicitations. Tetrachloroethene is the systematic name for tetrachloroethylene, or perchloroethylene (“perc” or “PERC”), and many other names. It is a manufactured chemical that is widely used in the dry-cleaning of fabrics, including clothes. It is also used for degreasing metal parts and in manufacturing other chemicals. Tetrachloroethene is found in consumer products, including some paint and spot removers, water repellents, brake and wood cleaners, glues, and suede protectors. Tetrachloroethene is a common soil contaminant. With a specific gravity greater than 1, tetrachloroethylene will be present as a dense nonaqueous phase liquid(DNAPL) if sufficient quantities are released. Because of its mobility in groundwater, its toxicity at low levels, and its density (which causes it to sink below the water table), cleanup activities are more difficult than for oil spills (which has a specific gravity less than 1). 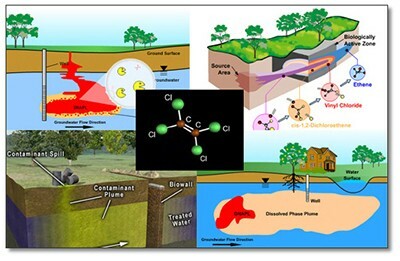 In the case study, researchers from Manchester Geomicro, a geo-microbiology and molecular environmental science research group affiliated with the University of Manchester, used combined chemical and microbiological contaminant degradation processes to remediate tetrachloroethene at a contaminated site in Germany. In the study, the researchers used Carbo-Iron®, an applied composite material consisting of colloidal activated carbon and embedded nanoscale zero valent iron (ZVI). In a recent long term study of a field site in Germany, it was injected into an aquifer contaminated with tetrachloroethene (PCE). Carbo-Iron® particles accumulated the pollutants and promoted their reductive dechlorination via a combination of chemical and microbial degradation processes. The presence of the dominant degradation products ethene and ethane in monitoring wells over the duration of the study indicates the extended life-time of ZVI’s chemical activity in the composite particles. However, the identification of the partial dechlorination product cis-dichlorethene (cis-DCE) at depths between 12.5m and 25m below ground level one year into the study, suggested additional microbially mediated degradation processes were also involved. Hydrogen produced by the aqueous corrosion of ZVI contributed to a decrease in the redox potential of the groundwater up to 190 days promoting organo-halide reducing conditions that lasted for months after. The long lasting reducing effect of Carbo-Iron® is crucial to efficiently supporting microbial dehalogenation, because growth and activity of these microbes occurs relatively slowly under environmental conditions. Detection of increased levels of cis-DCE in the presence of various organohalide reducing bacteria supported the hypothesis that Carbo-Iron® was able to support microbial dechlorination pathways. Despite the emergence of cis-DCE, it did not accumulate, pointing to the presence of an additional microbial degradation step. The results of state-of-the-art compound specific isotope analysis in combination with pyrosequencing suggested the oxidative degradation of cis-DCE by microorganism related to Polaromonas sp. Strain JS666. Consequently, the formation of carcinogenic degradation intermediate vinyl chloride was avoided due to the sequential reduction and oxidation processes. Overall, the moderate and slow change of environmental conditions mediated by Carbo-Iron® not only supported organohalide-respiring bacteria, but also created the basis for a subsequent microbial oxidation step. This study, published in Science of the Total Environment (Vogel et al. 2018, vol. 628-629, 1027-1036) illustrates how microbes and nanomaterials can work in combination for targeted remediation. 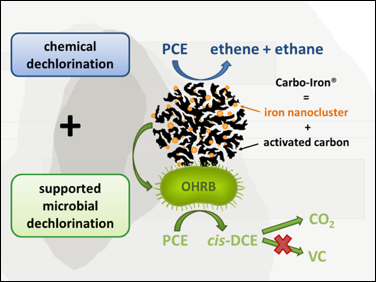 The work was led by collaborators (Katrin Mackenzie and Maria Vogel) at the Helmholtz Centre for Environmental Research in Leipzig, Germany, and adds to a growing portfolio of research highlighting the potential of Carbo-Iron® as an in situ treatment for contaminated groundwater. As reported by Cody McKay in the Vancouver Sun, there is outstanding discovery research occurring at universities across Canada. Unfortunately, a significant proportion of this research doesn’t translate into commercial application. Consecutive Canadian governments have attempted to tackle this challenge, focusing research dollars on particular aspects of the research-innovation ecosystem. This has left those not in the funding limelight to cry protest, plead neglect or worse, be under-valued. Yet the reality is that we need to support all types of research. Canada needs researchers devoted to fundamental science, but also those who can take existing research knowledge and apply it to solve an identified challenge for society or for industry. Enter collaborations with applied research. And a Canadian-made solution. There are tens of thousands of brownfield sites scattered across Canada — many of them in urban locations. “Brownfields” are those abandoned industrial sites, such as old gas stations, that can’t be redeveloped because of the presence of hazardous substances, pollutants or contaminants in the soil. As a result, they remain empty, barren eyesores for communities, financial drains for their landowners who can’t repurpose the land and environmental liabilities for future generations. 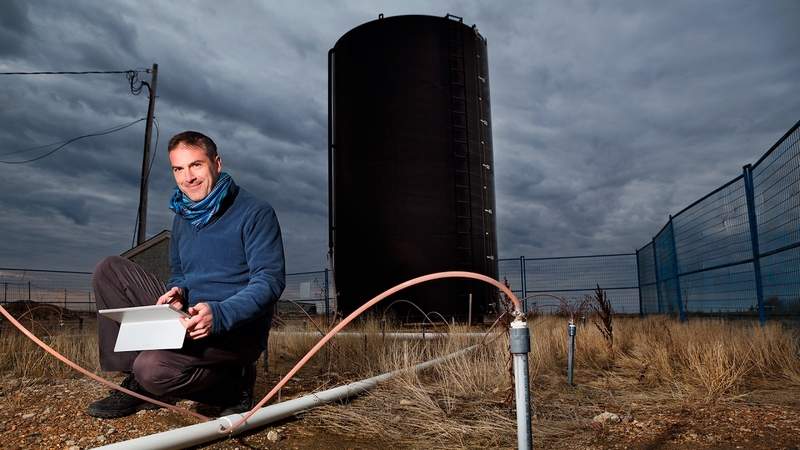 Over the past decade, a collaboration between Federated Co-operatives Limited, a Western Canada energy solutions company which owns a number of brownfield sites, and the University of Saskatchewan (U of S) developed a variety of methods to stimulate the bacteria in the soil to consume the petroleum-based contaminants more rapidly. This U of S remediation method is faster than the natural attenuation process, which can take decades. The U of S method has the potential to remediate a contaminated site in a northern climate in only a few months. It is also less invasive and potentially more cost-effective than the “dig-and-dump” approach that is popular in some regions of Canada. “Dig-and-dump” refers to excavating all the contaminated soil at site, transporting it to a landfill for disposal, and filling in the excavation with clean fill. The research team provided an estimated cost savings on remediation of up to 50 percent, depending on the extent of contamination and the cost of dig-and-dump. With an estimated 30,000 contaminated gas station sites in Canada, halving remediation costs represents a total potential savings of approximately $7.5 billion. Collaborating with the University of Saskatchewan and Federated Co-op, and building on their earlier research, Dr. Paolo Mussone, an applied research chair in bio-industrial and chemical process engineering, and his colleagues at the Northern Alberta Institute of Technology (NAIT) Centre for Sensors and System Integration built sensors to monitor the bacteria and track how quickly the pollutants in the soil were degrading. The team experimented with the technique and the sensors at an old fuel storage site owned by Federated Co-op in Saskatoon that had been leaking for 20 years. They were able to use the technology to monitor the bacteria’s consumption and adjust the stimuli that increased this consumption in real time. This applied research significantly shortened the time it took to clean the site, and only a few years later, the land is now home to a commercial retail space. Dr. Mussone’s work is focused on building prototypes that use emerging nano- and biotechnologies. The goal of this applied research is to help the energy sector improve operational efficiencies, reduce emissions and accelerate environmental remediation. So where some would see the scars of industrial activity on the landscape, Dr. Mussone sees an opportunity to put his research into action. Eventually, Dr. Mussone hopes to see the technology applied across Western Canada, where similar sites continue to hinder community-building efforts. The science research undertaken by the University of Saskatchewan and Federated Co-op, and the collaborative applied research undertaken by NAIT, has led to a sustainable, commercial solution. Polytechnic institutions excel at this type of research translation. Sometimes it is far too easy the federal government to forget about the impact of research, only focusing instead on the supply for new science dollars. Across the country, universities, polytechnics and community colleges are each undertaking research that could have immediate impact, or future benefit. Rather than pitting these fundamentally different models of research against one another, Canadians should celebrate the diversity of strengths that exist in our country. Canada has excellent applied research opportunities that can be harnessed for economic impact. Recognizing and supporting all types of research, and more significantly, fostering research collaboration amongst institutions with different research mandates and missions, is the surest and most positive way to build a sustainable science and innovation ecosystem for Canada. Building on the announcements of $3 million in funding for R&D on oil spill response technology, the federal government recently announced it is spending $80-million on oil spill research on preventing spills as well as their effect on the marine environment. There will be $45.5-million set up for a research program that will foster collaboration among researchers in Canada and around the world, with $10-million a year to bring scientists together to study how oil spills behave, how to clean and contain them and how to minimize environmental damage. The Centre for Offshore Oil, Gas and Energy Research in Halifax will also get some of the $16.8-million in funding for new scientists and specialized equipment. It will support oil spill research to better understand how oil degrades in different conditions. Another $17.7-million will be used to fund research and development of enhanced ocean computer models of winds, waves and currents to allow responders to better track spills. The funds are part of the $1.5-billion Oceans Protection Plan, which is aimed at developing a marine safety system.